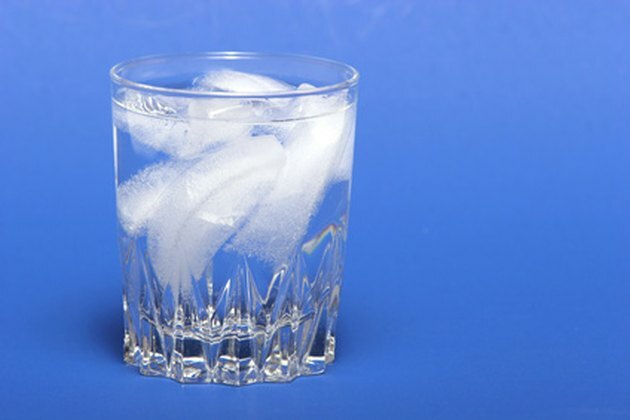 Many beverages taste better with ice cubes, but if your ice maker isn't producing ice properly, you can end up with anything from no ice to a solid slab of ice. Adjusting the water level on your ice maker is a quick fix that can solve many of your ice output problems. If you have low water pressure, or a leak in your ice maker, you need more extensive repairs and/or to call a maintenance technician. However, for basic issues with the size and production of your ice, adjusting the water level should be enough. Your ice maker's water level determines the proper amount of ice output. Pop the front cover off your ice maker--if there is a front cover--with a flat head screwdriver. Turn the small adjustment set screw on the upper, middle right hand side of your ice maker a half of a turn with a Phillips or flat head screwdriver, depending on the screw your ice maker has. Turning the screw clockwise will decrease the water level and turning it counterclockwise will increase the water level. Replace the cover on your ice maker and monitor the ice output. 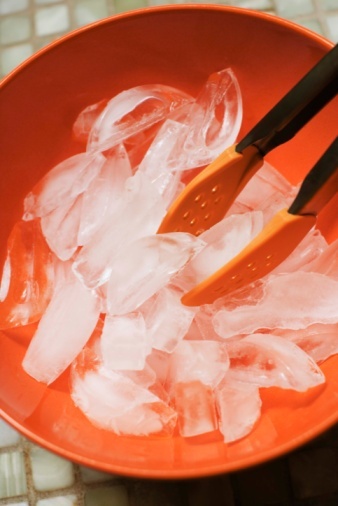 You may need to repeat the above steps to reach your desired level of ice production. 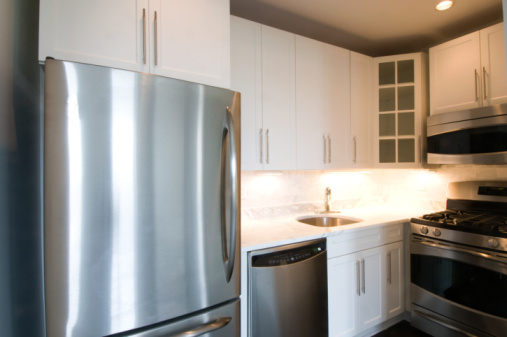 Unplug your refrigerator and pull out the ice maker by removing it from its hooks, or unscrewing it from below, and place it in the sink for any residual ice to melt. Pop the front cover off your ice maker with a flat head screwdriver. If there is a screw in the middle of the cover, use a Phillips head screwdriver to remove it. Manually run what DavesRepair.com calls a "harvest cycle" test run, by grasping the circular ejector and rotating it clockwise until you hear a click. The test cycle will run, just make sure the ice-sensing lever, or bail, has room to raise and lower during the test. Depending on the result of the ice output from your test run, you can now adjust the water level with the same set screw technique listed in Section 1, Step 2 above. Run another test cycle when finished with your ice maker adjustments to be sure the ice production is satisfactory. Place the cover back on your ice maker, return it to its position in the refrigerator and plug the refrigerator back in.